The district of Madhubani was carved out of the old Darbhanga district in the year 1972 as a result of reorganisation of the districts in the State of Bihar. This was formerly the northern subdivision of Darbhanga district. It consists of 21 Development Blocks. 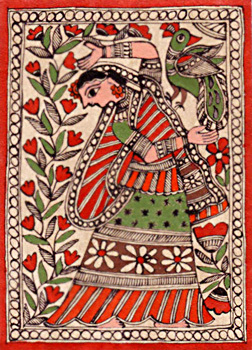 Bounded on the north by a hill region of Nepal and extending to the border of its parent district Darbhanga in the south, Sitamarhi in the west and Supaul in the east, Madhubani fairly represents the centre of the territory once known as Mithila and the district has maintained a distinct individuality of its own.